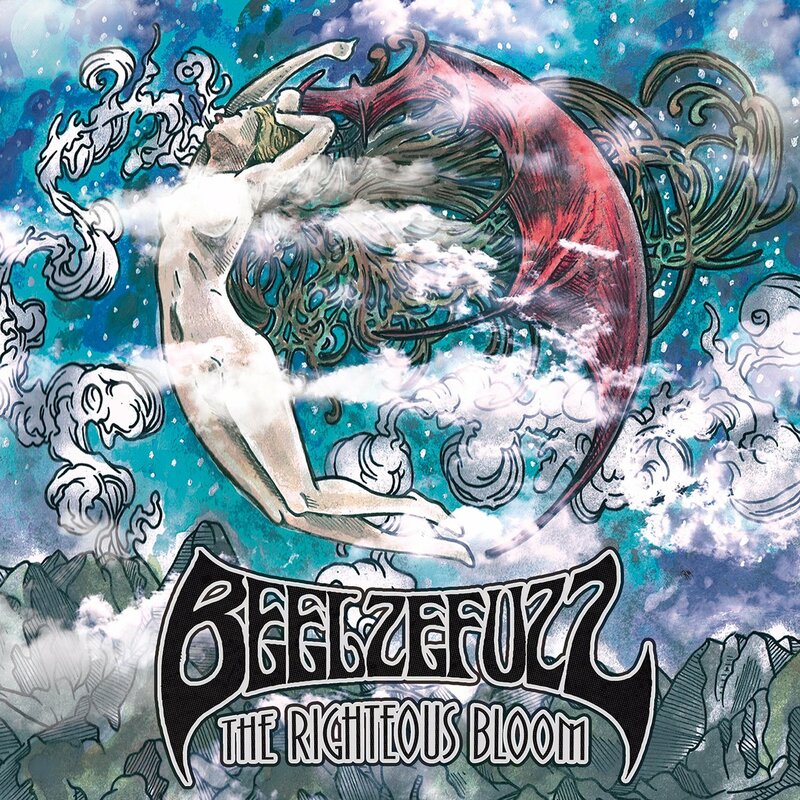 Hailing from Maryland and Pennsylvania, Beelzefuzz have gained a bit of a cult following for their guitar-driven, progressively minded heavy rock. Sounding more like Deep Purple and Uriah Heep than Black Sabbath, their sound embraces doomy elements and themes without being completely defined by that label. In contemporary terms, they’re more Graveyard and Demon Eye than Uncle Acid. Their most distinguishing characteristic, and possibly greatest strength, is singer/guitarist Dana Ortt. He possesses incredible range and a truly entertaining flair for drama in both his magical lyrics and his delivery. The band’s 2013 self-titled release was impressive and attention-getting. Their second full-length release The Righteous Bloom takes their sound to a whole new level with a revamped lineup and some sweet and sludgy riff wizardry from new guitarist Greg Diener. Meanwhile, bass player Bert Hall and drummer Darin McCloskey keep everything together with a solid groove. The result is a more complex and refined sound that sounds equally modern and retro. The album begins with “Nazzriff,” a fairly short and to-the-point stomper with a chunky riff, a couple of searing solos and some fine singing. It’s a great intro to the album and offers a nice taste of what Beelzefuzz have to offer. What follows are 11 songs, most hovering around the four-minute mark so they never wear out their welcome. They alternate between hard-charging and slowly lurking, but always with a heavy melodic edge. Standout tracks include the the ¾ time “Dying on the Vine,” which includes some mournful backing vocals and a wah-drenched solo, and “Nebulous,” which makes good use of an oscillating effect on Ortt’s voice, increasing the drama factor. The standout track, though is “Hardluck Melody,” which reprises “Nazzriff’s” mid-tempo funky groove with another great solo from Diener at the end, as Ortt sings “all I had” in a soaring voice.